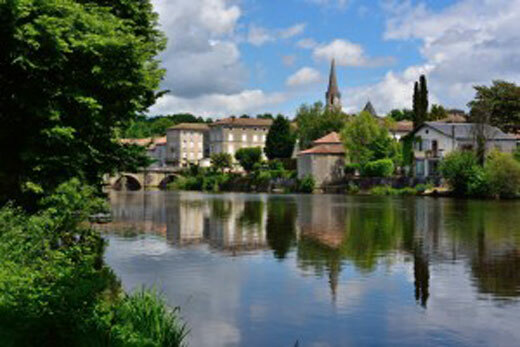 Nouvelle Aquitaine is the official name of one of the new regions of France which was formed by merging the three former administrative regions of Aquitaine, Limousin and Poitou-Charentes, during the restructuring of France’s regions in January 2016. 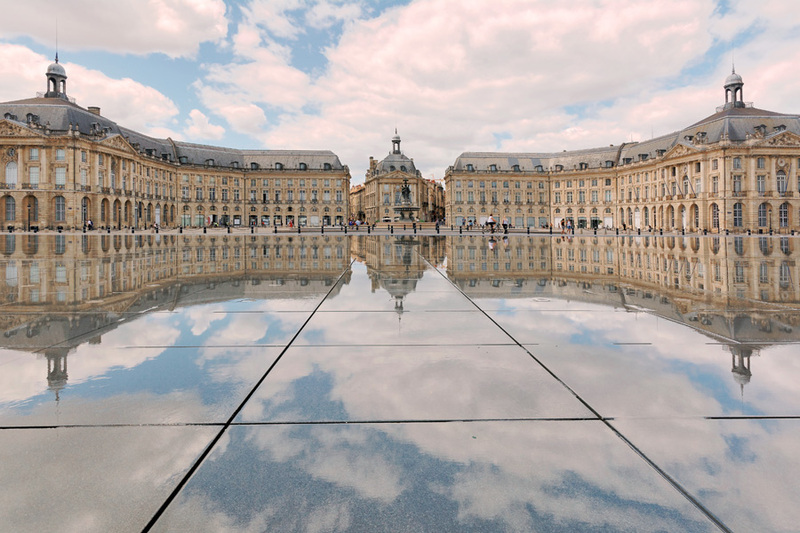 The regional capital is Bordeaux. 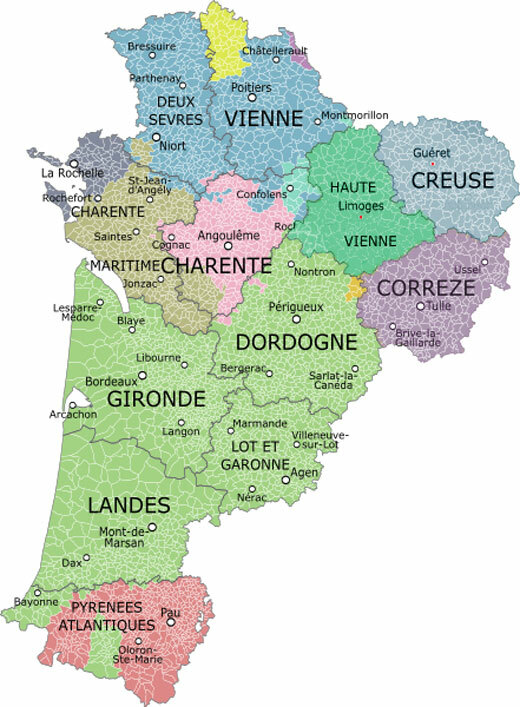 It is made up of the following twelve departments: Charente, Charente-Maritime, Corrèze, Creuse, Deux-Sèvres, Dordogne, Gironde, Haute-Vienne, Landes, Lot-et-Garonne, Pyrénées-Atlantiques, and Vienne. 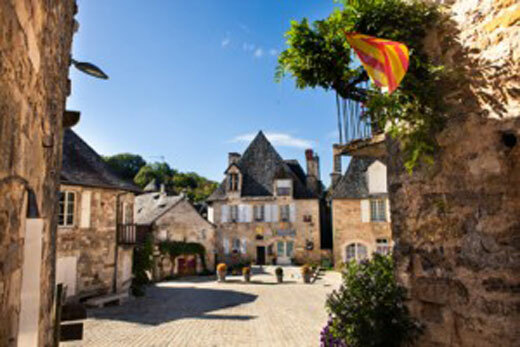 This most sparsely populated department of Languedoc-Roussillon is rugged and mountainous but crossed by many rivers and densely forested in places, all of which lends the local gastronomy a truly unique flavour. Situated between the sea and the farmlands of the Avesnois and the Monts des Flandres, Nord-Pas de Calais offers an unexpected cuisine which will delight the palate of the adventurous in search of lovely culinary surprises. The region’s volcanic soil has helped shape every aspect of its gastronomy. 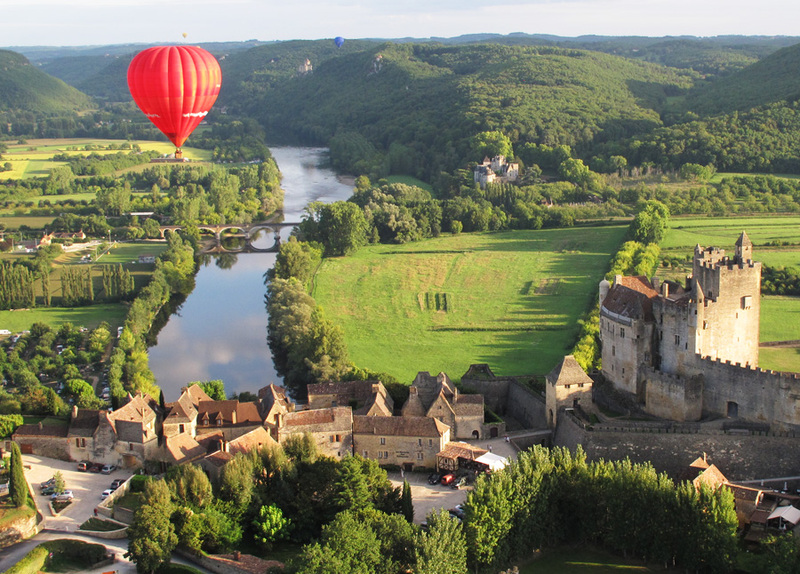 From the cows that graze on it to the grapevines that are planted in it, the Auvergne produces food and drink unlike any other part of France. Plateaux of fruits de mer and delicate sweet crêpes are just some of the things we look forward to eating on most of our holidays to France. At this time of year, we’re looking forward to warm and hearty meals like those enjoyed in the mountainous Savoie department. Traditional Savoyard cuisine owes much to the special breeds of cattle grazing in the Alps.